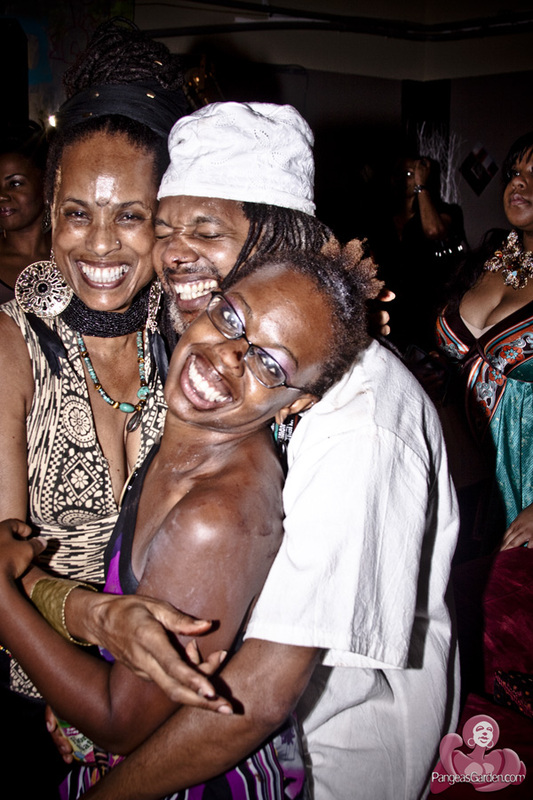 As Yemi Toure’s Midnight Erotica 2012 fast approaches (Saturday, Aug. 25 11 pm – 3 am) we take one last look back at the Yemi’s event last year. 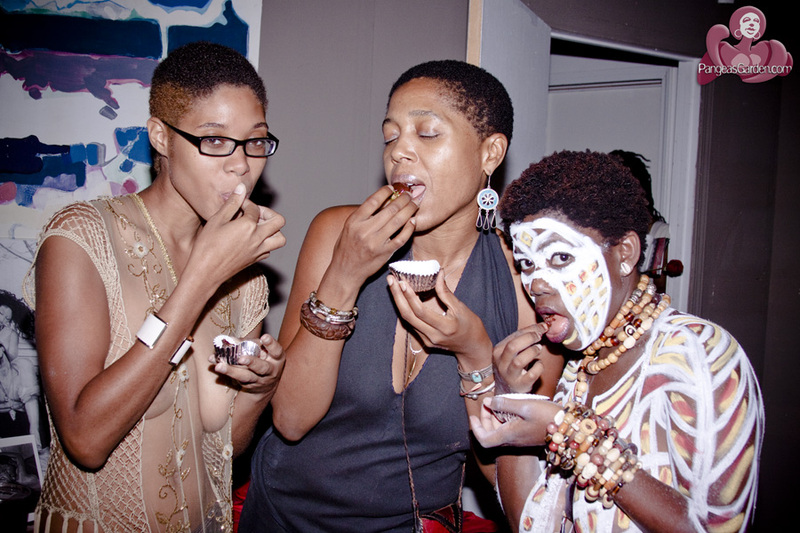 Nobella had worked her artistry on earthSista Serenity whose very being was the inspired canvas and earthSista Serene unabashedly hosted the event. 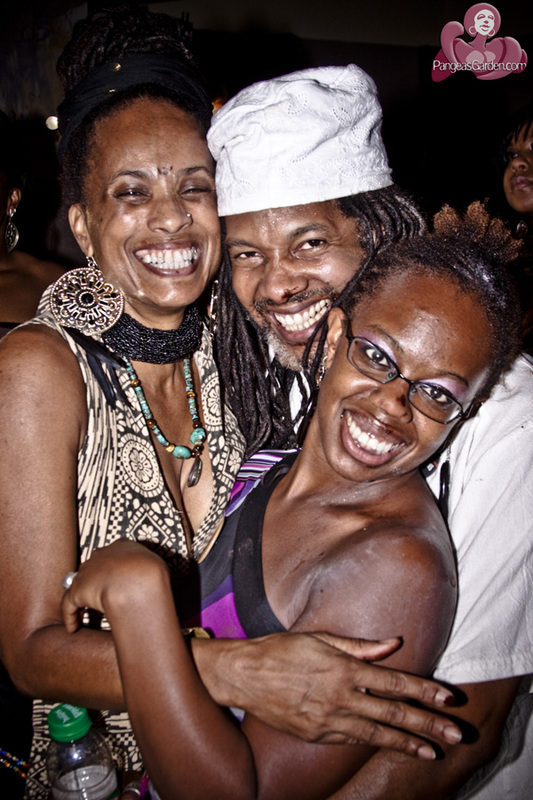 That is when the festivities got interesting. 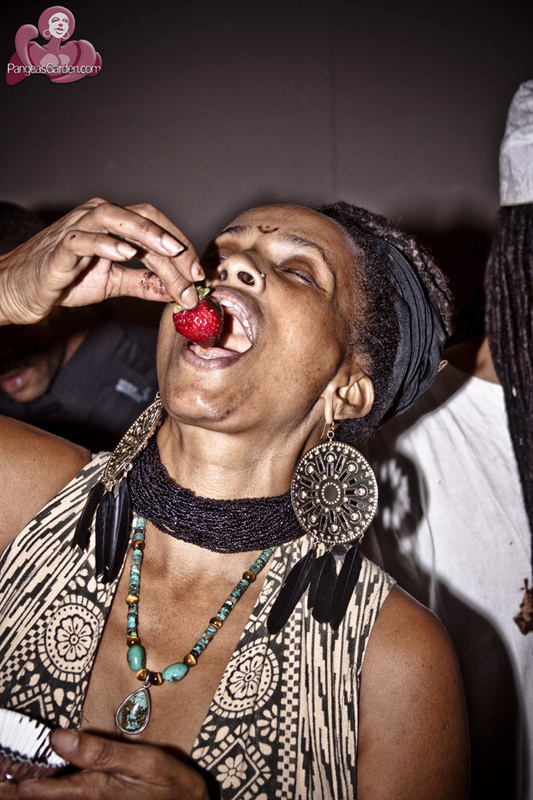 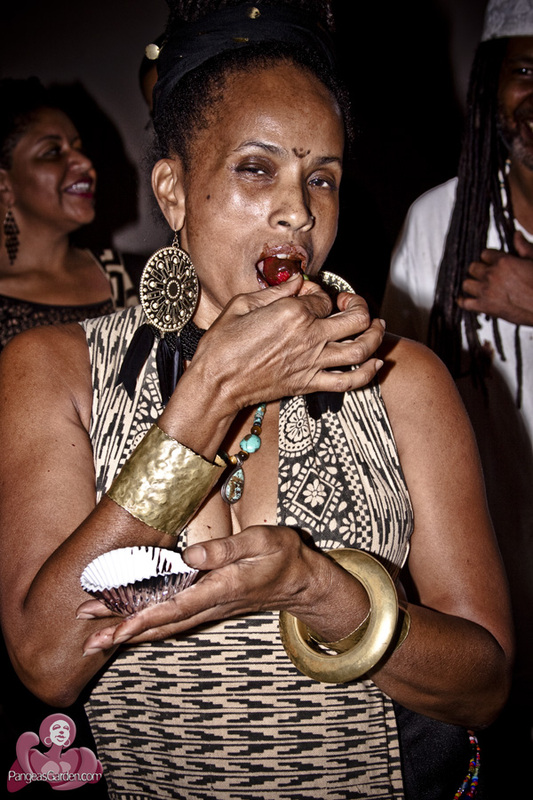 Wise sista, Tassili Ma’at, decided to teach folks how to eat chocolate covered strawberries. 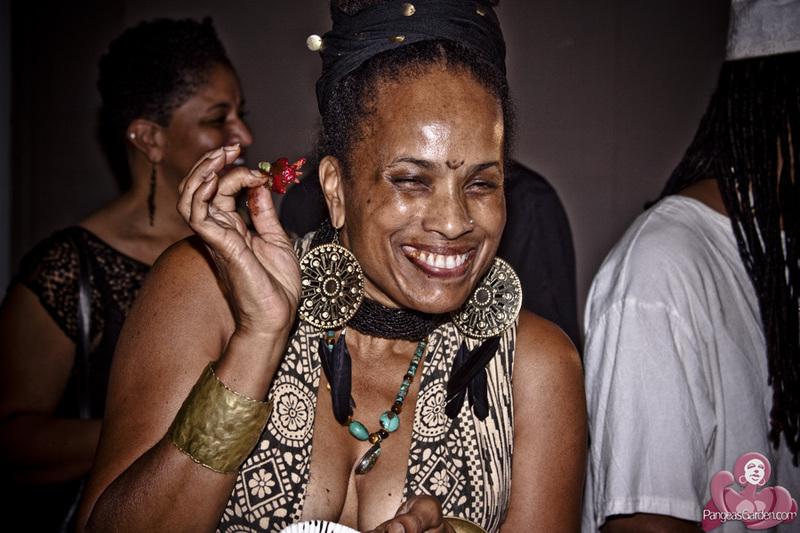 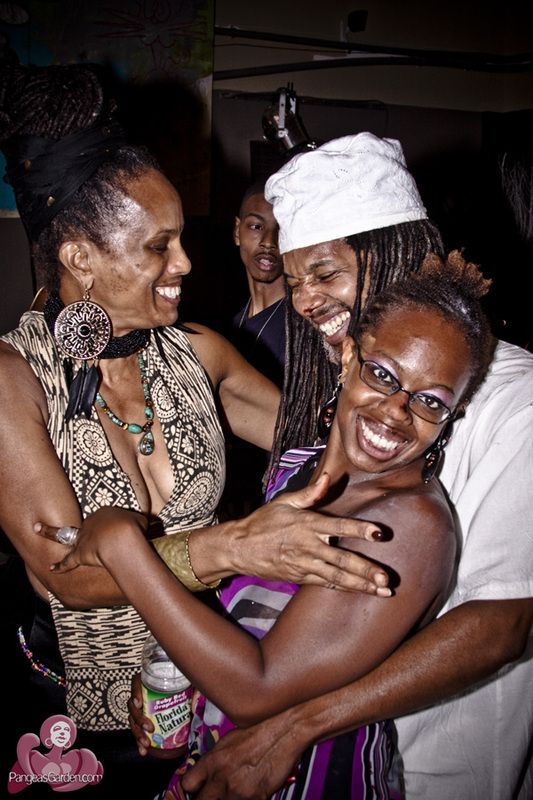 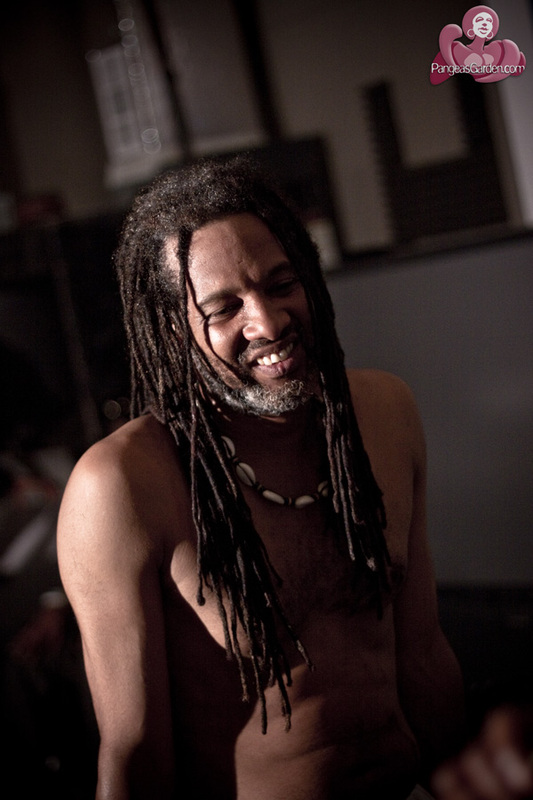 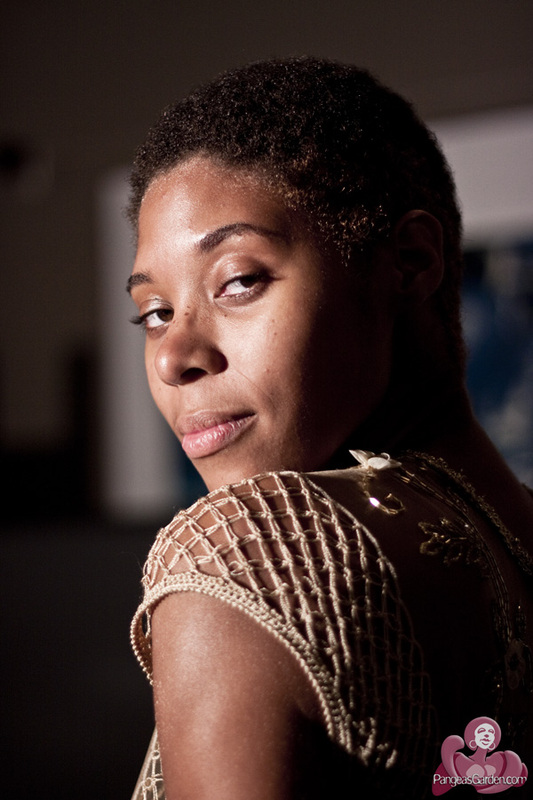 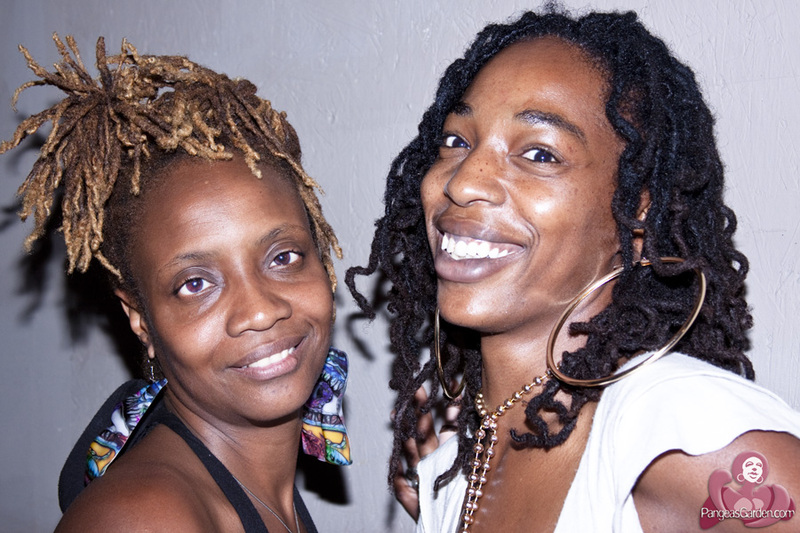 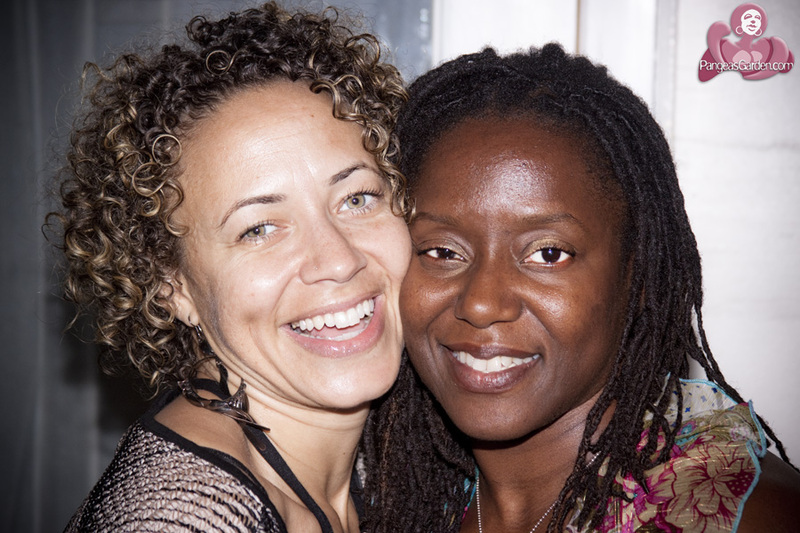 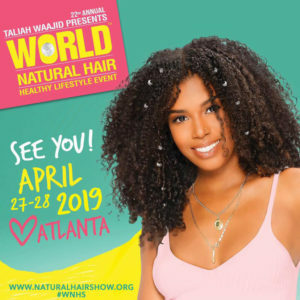 Tassili is the owner of Tassili’s Raw Reality, a delightful vegan restaurant in Atlanta’s West End that hosts spoken word/open mic on Saturday nights and jazz brunch on Sunday mornings. 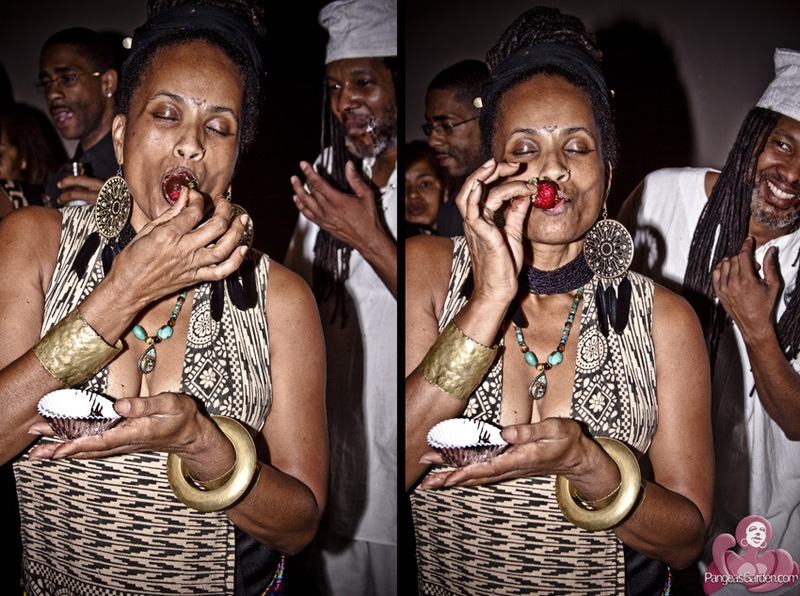 Her provocative lessons were the catalyst for earthSista Success to share a few treats with another patron of the event and it got…heated. 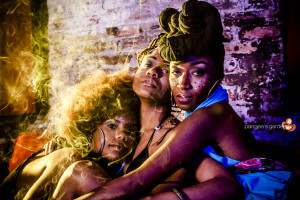 In the midst of the Afrocentric erotica art show featuring paintings, drawings, sculptures, photography and after the spoken world performances, Success shared an inspired impromptu performance of her own. 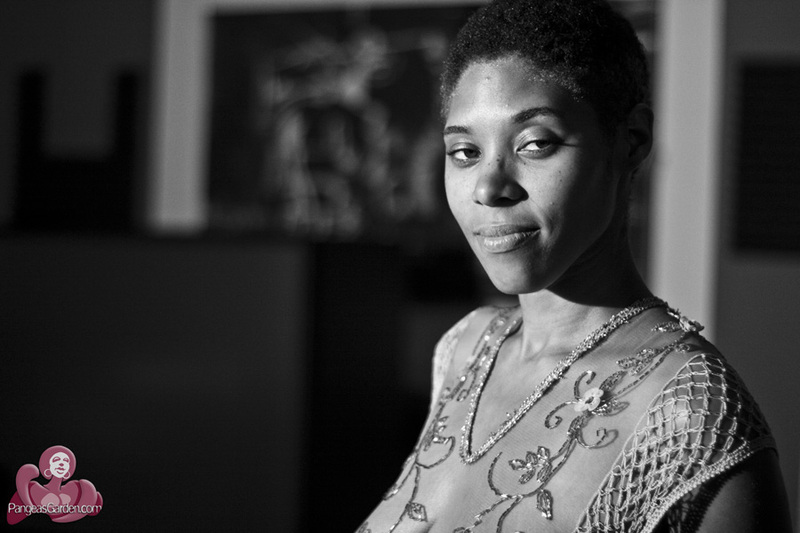 Serene, Serenity, Success and Midnight Erotica…OH MY!